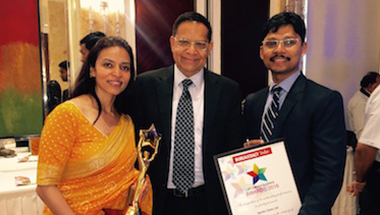 CSR Health Impact Award 2018 was given under Health CSR Project category. 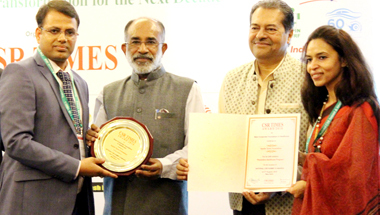 The award was given during the India Health Summit Awards 2018. 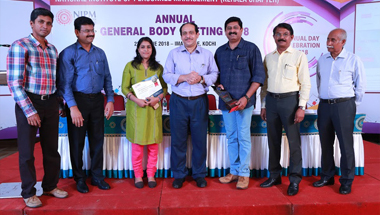 NIPM CSR Award 2018 was given by the Kerala Chapter of National Institute of Personnel Management (NIPM), for the exemplary CSR work done by Kerala CSR team. 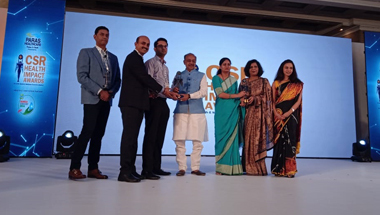 The organisation received CSR Excellence Award under Livelihood Creation category by Gujarat CSR Summit and Awards for its livelihood programme in Gujarat. 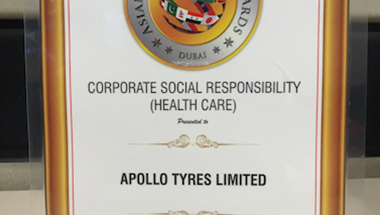 The organisation received CSR Times Award 2018 under the Healthcare category for exceptional healthcare programme for its truck driver community. 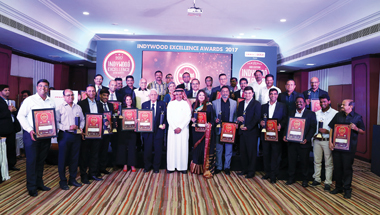 The Company bagged Indywood CSR Excellence Award under Best CSR Campaign - Biodiversity and Climate Change category, organised by Indywood Film Carnival. 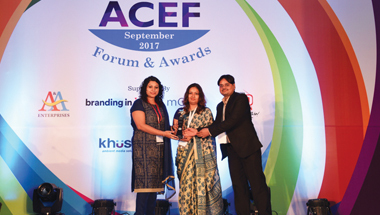 The Company received Asian Customer Engagement Forum (ACEF) CSR Award under Best Stakeholder Management category by Asian Customer Engagement Forum. 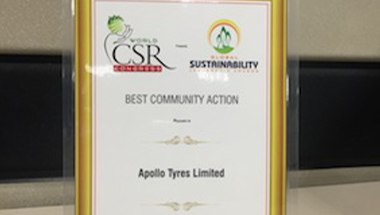 Recognition plaque was given by FICCI Aditya Birla CSR for the exemplary work done by Apollo Tyres Foundation under women empowerment category. 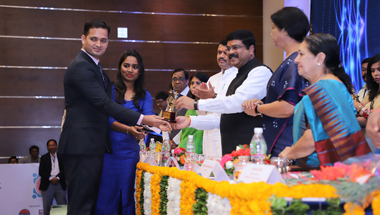 'Sparsha Award 2016' was given by the National Institute of Industrial Engineering and LakshyaSM) for the valuable contribution done by the Vadodara (Gujarat) CSR team under ‘Livelihood Generation Initiatives’. The organisation bagged multiple awards in the CSR Excellence Award - One for Best CSR Initiatives and three for Best Livelihood Initiatives. 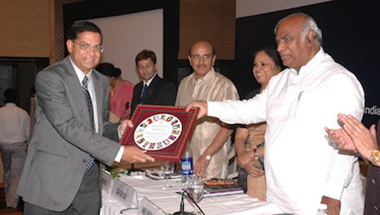 The event was organised by the Quality Circle Forum of India (QCFI), Vadodara. 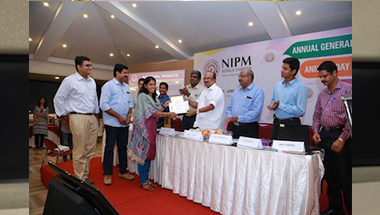 ‘NIPM Kerala Best Corporate Citizen Award 2016' was given by the Kerala Chapter of National Institute of Personnel Management (NIPM), for the exemplary CSR work done by Kerala CSR team. 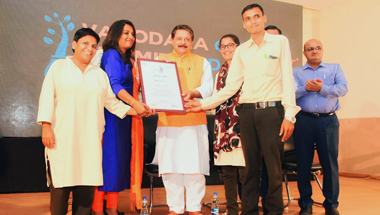 Bureaucracy Today (BT) - CSR Excellence Award 2016 was given by Bureaucracy Today media group, under the 'Best Waste Management’ category for Clean My Transport Nagar project. 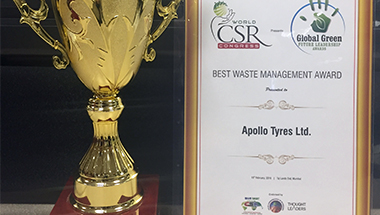 Global Green Future Leadership Award 2016 was given by World CSR Congress, under the ‘Best Waste Management’ category for Clean My Transport Nagar (CMTN) initiative. 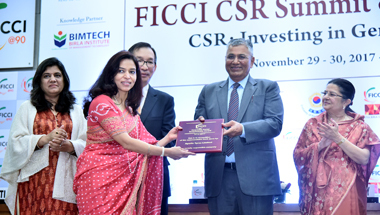 ASIAN CSR Awards 2015 was given by Asian Forum on Corporate Social Responsibility, under the ‘Health Enhancement’ category. 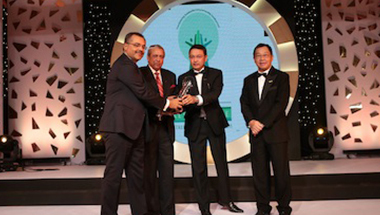 The winner was chosen from 134 entries received from 12 Asian countries. 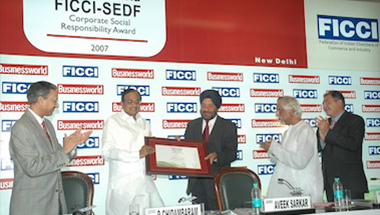 Global Sustainability Leadership Award 2013 was given by World CSR Congress under ‘Best Community Action’ category for HIV-AIDS Awareness and Prevention Programme. 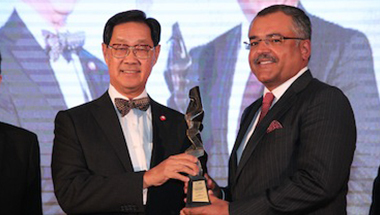 Asia Responsible Entrepreneurship Award 2012 was given by Enterprise Asia, under ‘Health Promotion Award, category for HIV-AIDS Awareness and Prevention Programme. 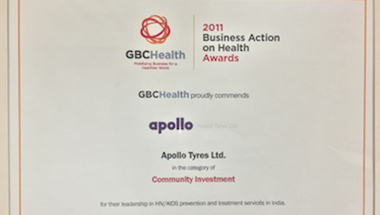 Business Action on Health Award 2011 was given by GBC Health, under ‘Community Investment’ category, for the leadership in HIV/AIDS prevention and treatment services in India. 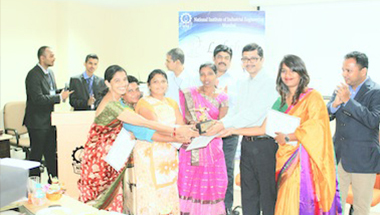 The organisation received recognition from International Labor Organisation for implementing the workplace HIV-AIDS Awareness and Prevention Programme for its employees in 2006. 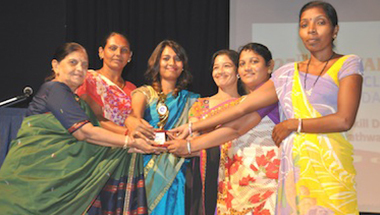 The organisation received Jury’s special commendation for its work in the area of HIV-AIDS Awareness and Prevention.